Each of our Fleming Sales Specialists believe that the path to personal and corporate success is to commit to a client's best interest. We each have the background, skills and deep knowledge of Fleming to provide service commensurate with the yacht. From your first expression of interest to a celebratory lunch long after the first season aboard your new Fleming, we will add value to the amazing experience of the Ultimate Cruising Yacht. And the service is the same, if your choice is a brokerage Fleming. The key is your best interest. In Fleming. Brian was raised by the waters and on the beaches of Victoria, BC. Having satisfied an academic with an arts degree at the University of Victoria and a law degree at the University of British Columbia, his compass directed him to a lifestyle industry, ultimately to enter the business of yachts. 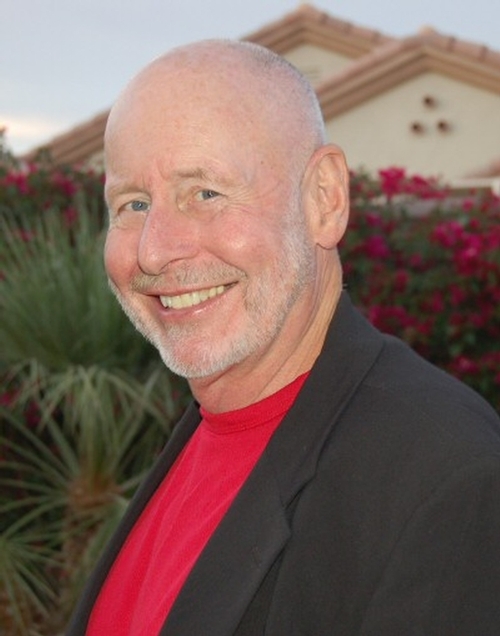 In the mid 1980s, Brian joined Roger Glassford as a partner in Grand Yachts Inc.- a solid and productive relationship that flourished for years. Brian formed the BC Yacht Brokers Association, drafting the constitution, code of ethics and initial standard form agreements. This association continues to evolve, and has served as a model for other jurisdictions interested in higher degrees of professionalism. Brian sold his first Fleming in Spain. Owned by a British gentleman, listed for sale in California, located in Porta Banus, and sold to a businessman from Denver. Since those sea trials in the Mediterranean, Brian has cruised Flemings in BC waters, including the Central Coast, and most recently, with Tony Fleming aboard "Venture" in Prince William Sound, Alaska. Brian and his new partner, Robb Butler, are the owner of Grand Yachts Inc., and are both proud of the reputation that this company has established with yachtsmen even beyond the Western Canadian market. At the very heart of Brian's joy in the yacht business, are the amazing people he has come to know, all living the best moments of their lives and so many whom have become life-long clients and friends. Brian lives in Kitsilano with his lovely wife Beverly and Emma the puppy, and enjoys a wide variety of interests, including extended cruising aboard Bridges, a Grand Banks 42 Europa. 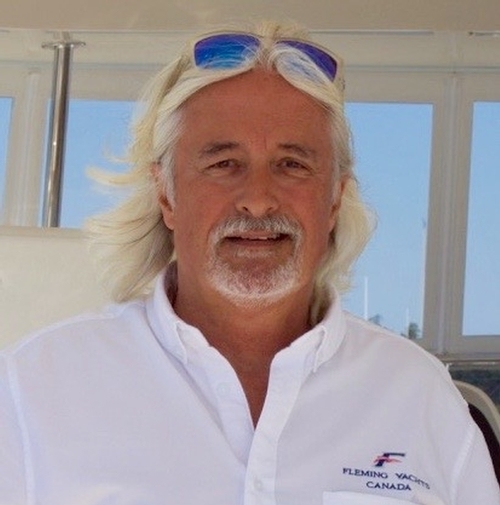 Robb Butler CPYB is an equal Partner in Grand Yachts Inc. and Fleming Yachts Canada, has developed an enormous passion for the yachting industry, a passion which drives his success. Robb was born in Alberta, and relocated to Cape Town when he was a teenager and where he discovered and intense interest in sailing. Sailing became a mainstay in Robb's life; he raced dinghies and competed in numerous off-shore keel boat events around the Cape of Good Hope. 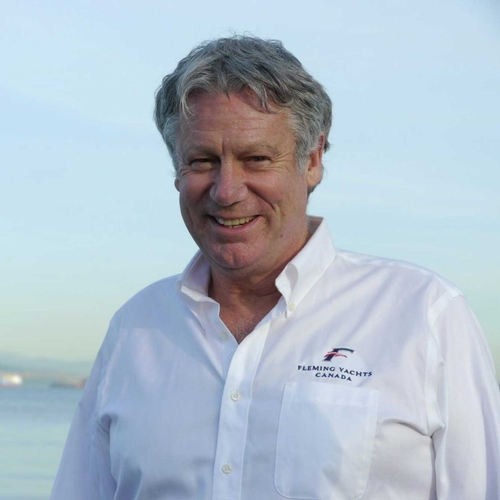 He owned seven keelboats and held the position of Skipper on three Trans- Atlantic Races His last race in 2009 was from Cape Town to Brazil on his own yacht, a 43' Robertson & Caine built Monte Video, which finally brought Robb and his wife, Janey, to Vancouver Island. They live in Sidney, where they keep "Lily B," their pristine 32' Grand Banks. As owner and past CEO (for more than 30 years) of a large Clothing Design and Manufacturing Company, Robb's business experience together with over 40,000 ocean miles gives him the necessary skills and expertise to guide clients carefully through the delicate stages of buying or selling, whether it be the build of a new yacht or the purchase or sale of a quality pre-owned vessel. Over 40 years ago I was fortunate enough to be in the right place at the right time, perceiving a need for a professional approach to the business of boat sales in BC and out of this epiphany, Grand Yachts Inc. was founded. Understanding that the competition was not within the industry but rather the other markets trying to attract recreational dollars, we formed the False Creek Marine Merchant's Association, along with other dealers in Vancouver's False Creek, cooperating with each other to bring buyers to our area and treating them to a common level of expertise in sales and service. This early association led to the formation of the BC Yacht Brokers Association and a move to our present Coal Harbour Marina location. In the ‘80's, I was fortunate to meet Brian Kell and as partners we built the company out of the recession. Twenty-four years after delivering our first new FLEMING, I am pleased to be a member of FLEMING YACHTS CANADA, a subsidiary of Grand Yachts Inc. 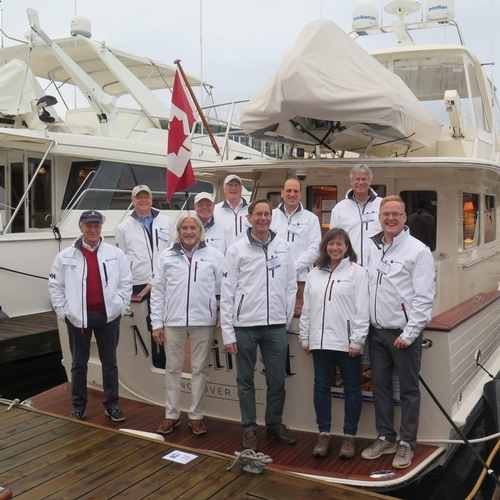 This new entity consists of a dedicated team representing FLEMING YACHTS, both sales and service, from our offices in Vancouver and Sidney, BC. A client and friend once said that timing and luck are everything in life. This has certainly proved to be true in the ongoing growth of Grand Yachts. I am excited to continue to represent FLEMING YACHTS as part of the new FLEMING YACHTS CANADA team .